The description basic simply means a website that is largely made up of pictures, writing and that doesn't feature sophisticated facilities such as an online shop, forum etc. Such sites still look professional but are much easier to develop therefore much cheaper than more complicated commercial or content rich websites. We frequently have customers who only require a basic presence on the web to refer people to. Examples of these sites include non-sales websites profiling a business or organization, hobbyist information sites or even personal sites to provide information on a particular event such as a wedding or a re-union. Although, not technically demanding we pride ourselves on delivering high quality, industry compliant websites that is optimized to have the biggest effect on the web. 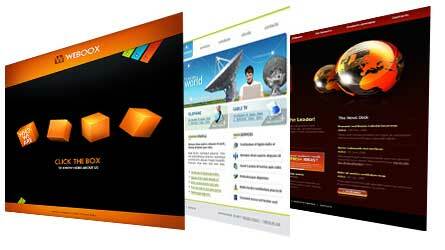 All our websites come with back-end systems to allow customers to update the website's content.